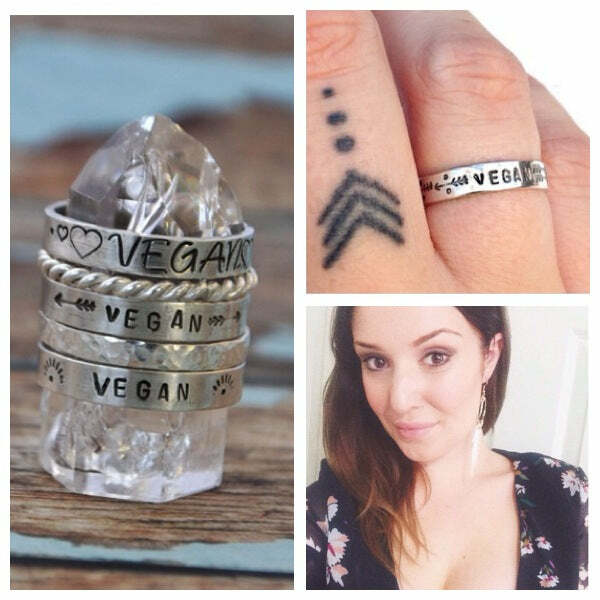 In the February Vegan Box you will find a $10 voucher for the Luna Light Jewellery range of Vegan rings. We absolutely LOVE these adorable pieces, and today we’re really excited to introduce you to the creative beauty behind Luna Light – Charlotte. 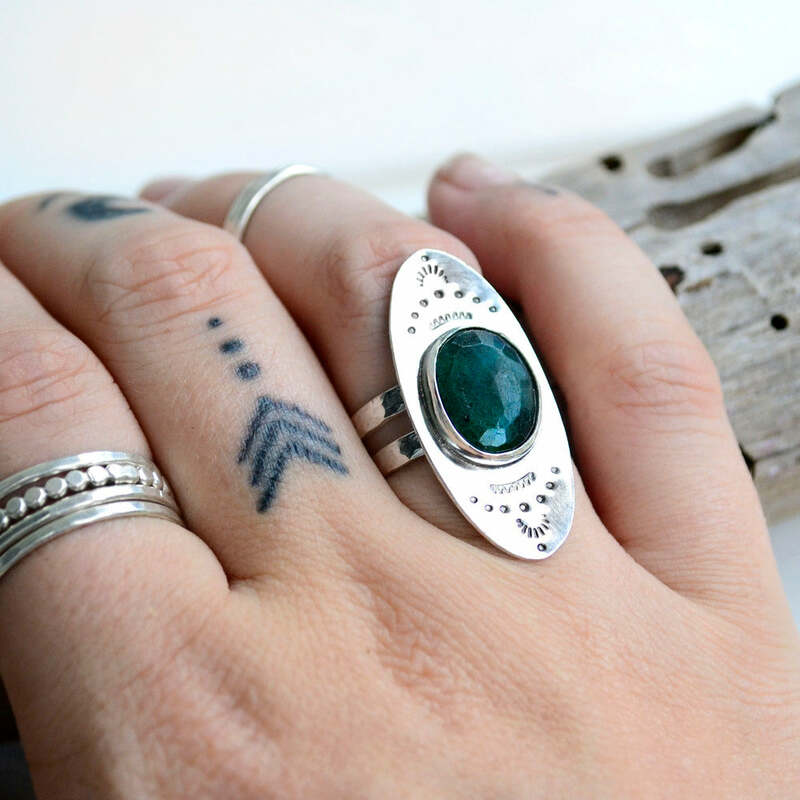 Within the design collection Charlotte has developed and created an exquisite line of vegan rings. The materials are sustainable and a percentage of each sale is donated to various vegan organizations. I did a beginner’s Silversmith course back in February 2014 and fell absolutely in love with the whole process instantly! From then I read books, watched videos and self taught myself until I had a dream that I would to create my own little business. 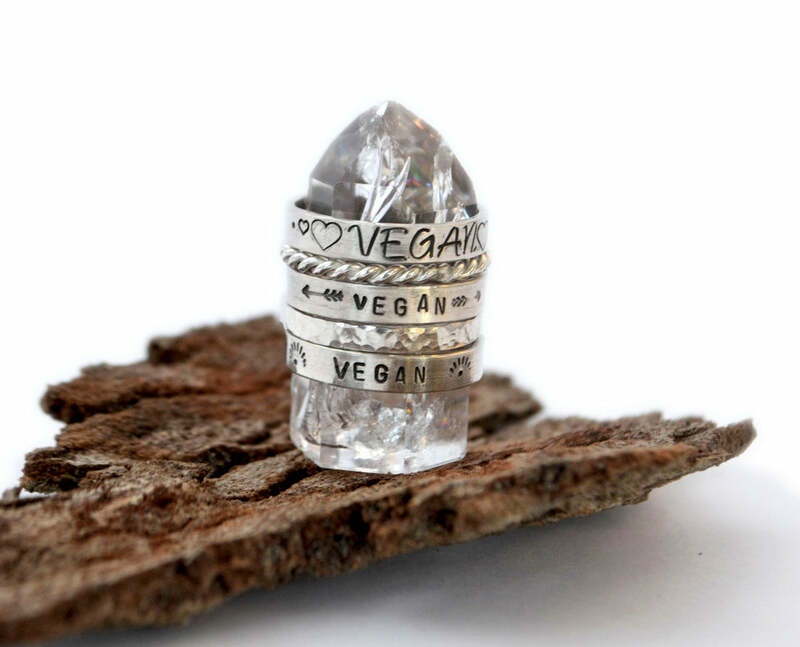 From then I created a little Vegan ring and posted it on a popular Vegan Page on Facebook (Brisbane Vegans) and my other Instagram account @littelovelotus and I got so much positive feedback that it gave me the push I needed to chase my dreams! Two months later I opened my own little shop and from then I have been so overwhelmed with all the love and support everyone has given me! 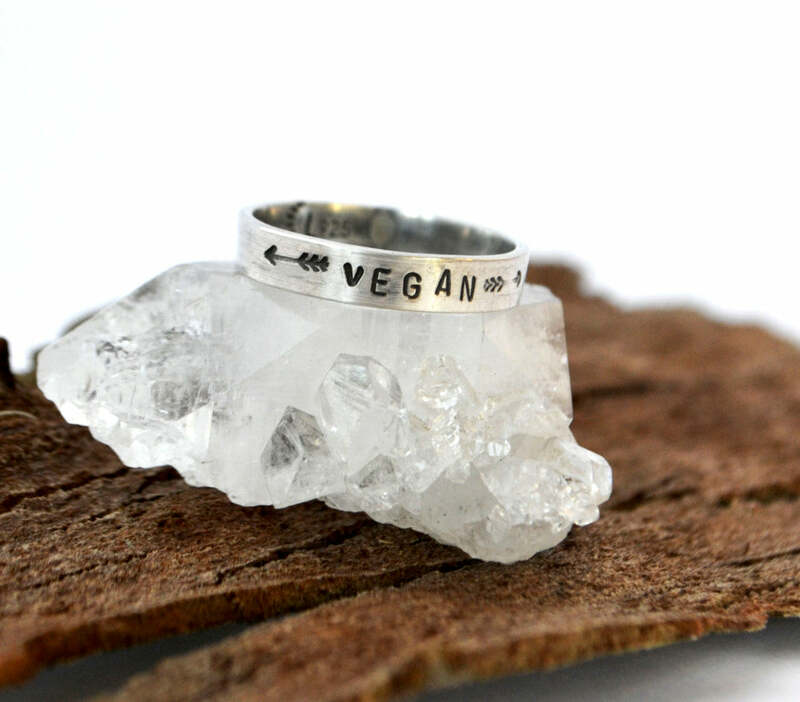 What inspired you to make the vegan range of rings? Being a Vegan always starts up the most interesting conversations, and not only is it a great conversation starter to help enlighten peoples opinion on veganism, it is also something you can wear proudly and a perfect reminder that we are all equal earthlings in this world. I also donate $1 from every purchase to Farm Animal Rescue QLD and $1 to QLD Guinea Pig Refuge so it was a great way for me to give back. How do you create your new designs and choose your crystals and gems? 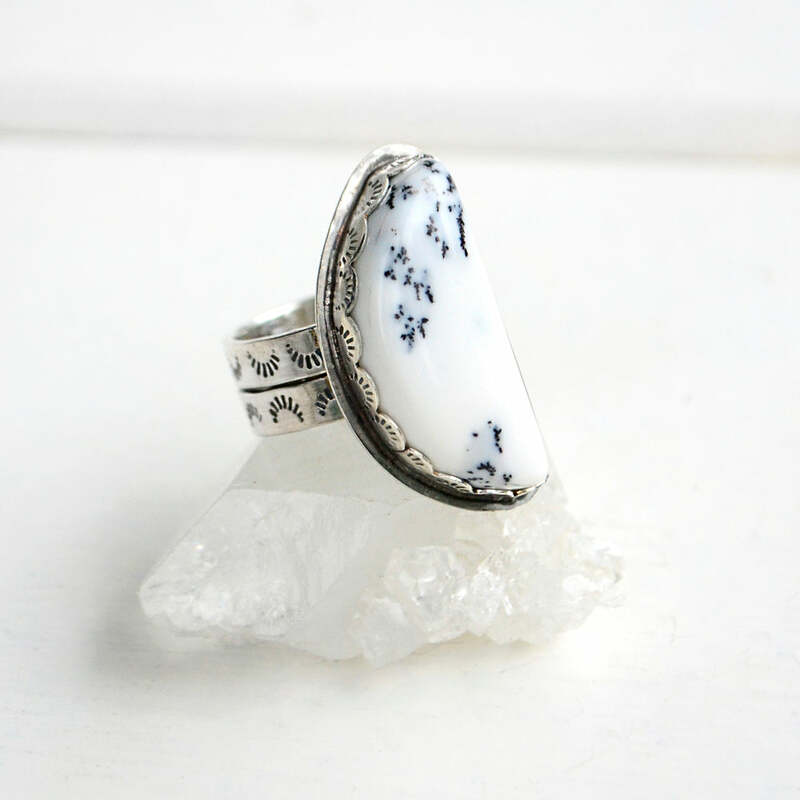 I get so excited when its time to create new rings that I end up going back and forth with projects as new ideas pop into my head the whole time. I usually sketch little ideas and doodles that come to mind during the week and then when it is time to design the next release of rings on the weekend I look through my drawingss and gems until one catches my eye and then the process begins of matching earthstone to design! What does living a cruelty free lifestyle mean to you? Being loving towards all creatures great and small, learning how to better this world and spreading the word and movement! I believe it is definitely not about creating hate towards people who are unaware and uninformed; every one of us on this earth is equal and should be respected. And discovering that fruit and vegetables are the greatest tasting foods on the planet! What do you see is in the future for Luna Light? I quit my other second job a few months back and took the plunge to give all my energy and focus to Lunalight. I am very content, happy and grateful with how everything is moving with Lunalight but I would love to have my own little Studio somewhere in the future as I currently work from a little spare room in my home!